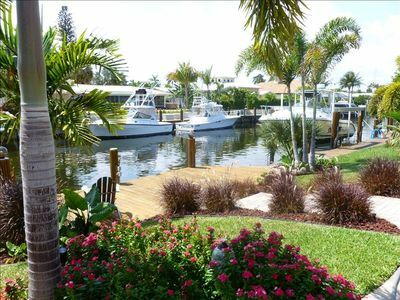 Beautiful waterfront home in east Deerfield Beach, only 1 mile to a great public beach. 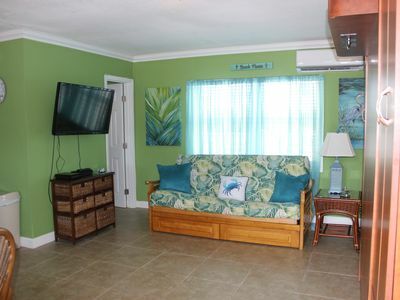 Home is completely furnished including linens, silverware, beach towels, beach chairs and coolers, pool floats, and everything you would expect in a home. Large living room with 20' sliding doors that open to pool and dock area for great breeze and views. 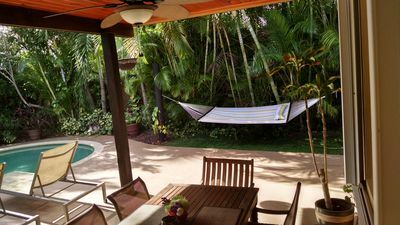 Private pool area offers great sunny exposure and plenty of privacy at the same time. 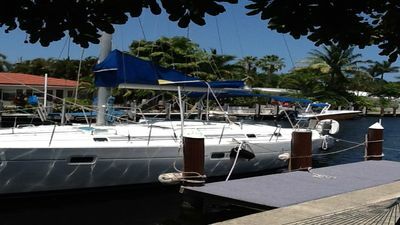 Enjoy cocktails around the pool or out on the dock/deck overlooking the canal. Large gourmet kitchen with double oven. Master bedroom has a King bed, guest bedroom has a Queen bed. Master bath includes a Jacuzzi tub and steam shower. Home has three full baths. This is strictly a NON-SMOKING and NO PETS property. Beautiful beach is only a mile away. House is east of US1 right off the Kingfisher canal and just south of 'The Cove' waterfront restaurant. 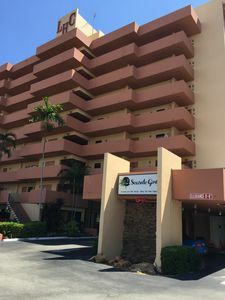 Excellent restaurants and shopping in Deerfield Beach, Boca Raton, and Lighthouse Point are all close by and a list of recommendations and discount coupons are available to you upon check-in. 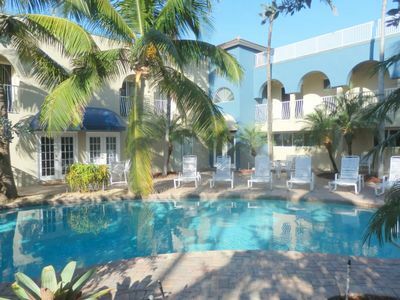 Property is only 20 minutes north of the Fort Lauderdale airport (FLL), 30 minutes to West Palm Beach (PBI), or 45 minutes to Miami airport (MIA). Additional photos and area information will be sent upon request. 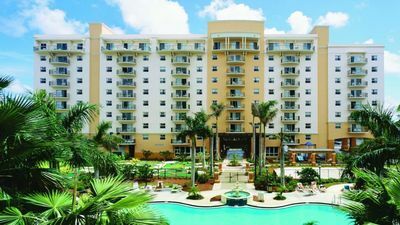 January, February, March, April 2013 rates average $250 - $375 per night. 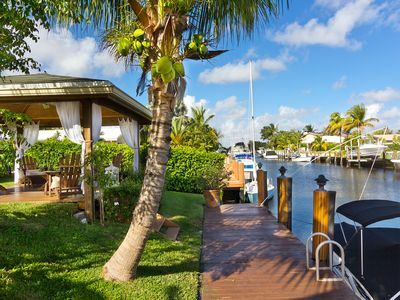 Keywords: Large Waterfront Home, east of US1, close to Deerfield Beach, Boca Raton, Lighthouse Point, Pompano Beach, Coral Springs, and Parkland. 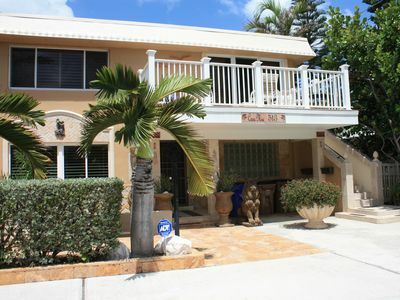 Private Pool, tropical landscaping, water views from living room, kitchen, master bed and master bath, large gourmet kitchen, washer/dryer, full garage, dock, boating, ocean access, patio, 3 bathrooms, gas grill. Casa Carina: TWO HOUSES FROM THE BEACH ENTRANCE! 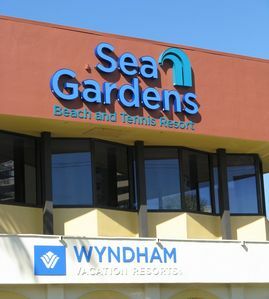 Beachside PH Ocean Blvd. Ocean 100 Ft. 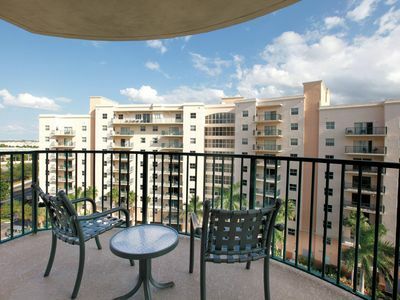 Downtown Miami is just 36 miles away!